Photo by Jamila B. Khan, © Style Media Group. When was the last time you truly got away? No electricity. No cell phone bars? No Facebook notifications? It may seem improbable in this day and age, but in our Golden State of plenty, finding Zen is possible…and surprisingly, it’s in northern California. Last Labor Day weekend, my mother and I explored the wonders of Lassen National Park with a two-night stay at the Drakesbad Guest Ranch. We not only learned of the heat within our Earth’s crust, but also discovered that going without does not mean doing nothing. Lassen Volcanic National Park, the 15th national park established by Congress, is one of the oldest in the U.S. and has the largest hydrothermal system west of Yellowstone. Within its 150-plus miles of wilderness along the Cascade Range, visitors can see hot springs, fumaroles (steam vents), mud pots, acidic lakes and dormant volcanoes among the pine-fir forest. All four types of volcanoes found in the entire world are represented in Lassen Volcanic National Park. Here, activity isn’t limited to underneath the surface of the Earth – recreational opportunities abound. In the summer, visitors can, among other things, hike, bird-watch, fish, swim and kayak. If able-bodied, visitors can trek to the top of volcanoes Cinder Cone, Brokeoff Mountain or Mount Lassen. During the winter season, beginning in October and ending in June/July, snow levels can reach over 30 feet, creating perfect conditions for skiing and snowshoeing. Campsites are available throughout the park, with cabin rentals and lodging also available at Manzanita Lake and Warner Valley. The most efficient way to see the national park’s beauty is through the 25-mile scenic driving tour, starting from its southern entrance. Notable stops include the Kohm Yah-mah-nee Visitor Center (make sure to stop and watch the park documentary), Manzanita Lake, Devastated Area, and Sulphur Works. Also requisite is the hike to Bumpass Hell, a lupine-lined trek to the park’s highest concentration of active hydrothermal activity. Though we did not witness a volcanic eruption (the last occurrence was in 1914), our noses often caught whiffs of the emanating sulfur! Hidden in Warner Valley at the southern edge of Lassen, we stayed at Drakesbad Guest Ranch. Like the rest of Lassen, our experience here was unbelievable – as ranch host Pat Flack so aptly described, it’s an intimate cruise ship experience in the forest. Only 19 rustic and quaint accommodations are available: lodge rooms, cabins and private bungalows overlooking a grassy meadow; all without electricity. Natural light serves fine during the day, while kerosene lamps help you navigate at night. (Note: There is electricity in the lodge’s common room.) But you will not exactly be “roughing it”; all lodgings are gas heated and offer a full or half bath. Guests are also treated to three hearty square meals in the dining hall – a mix of buffet and ready-to-order that’ll please both carnivores and vegetarians. Sack lunches can be prepared for hikers. Like the rest of the national park, many activities are available to guests of the retreat. The ranch’s swimming pool, fed by hot springs, is replenished every 12 hours without chemicals added. Non-swimmers can relax poolside for a 30-minute or one-hour massage. Guests can also sign up for horseback rides through Mule’s Ear meadows to nearby Devil’s Kitchen or Terminal Geyser (or opt to hike to King’s Creek Falls, Boiling Springs Lake and other destinations along the Pacific Crest Trail.) Guided fly-fishing lessons can be reserved for a fee. Kid-friendly activities include ping-pong, volleyball, badminton, archery and horseshoes. 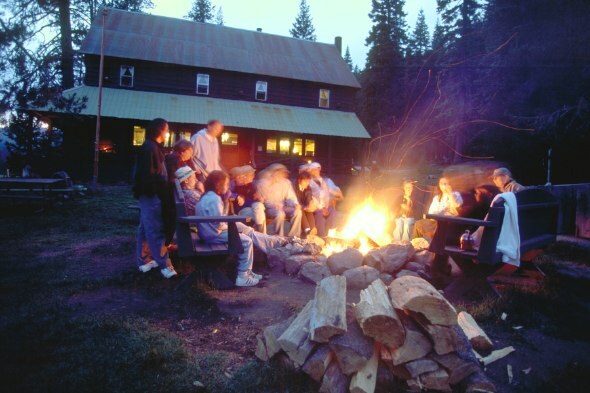 In the evening, patrons can read a book, play board games or hold conversations around the campfire or at the lodge’s fireplace. 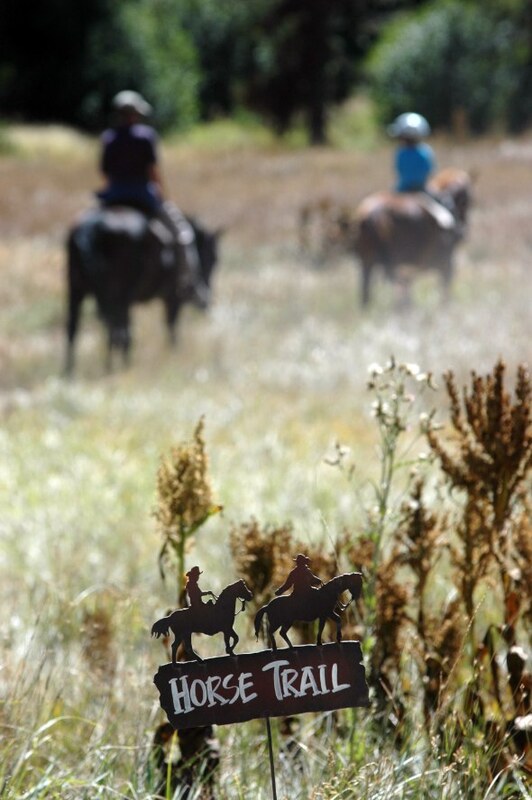 The 2013 season at Drakesbad Guest Ranch reopens June 7 and closes on Columbus Day, October 14, weather permitting. Rooms are most easily secured from mid to late June and from mid-August through early October. 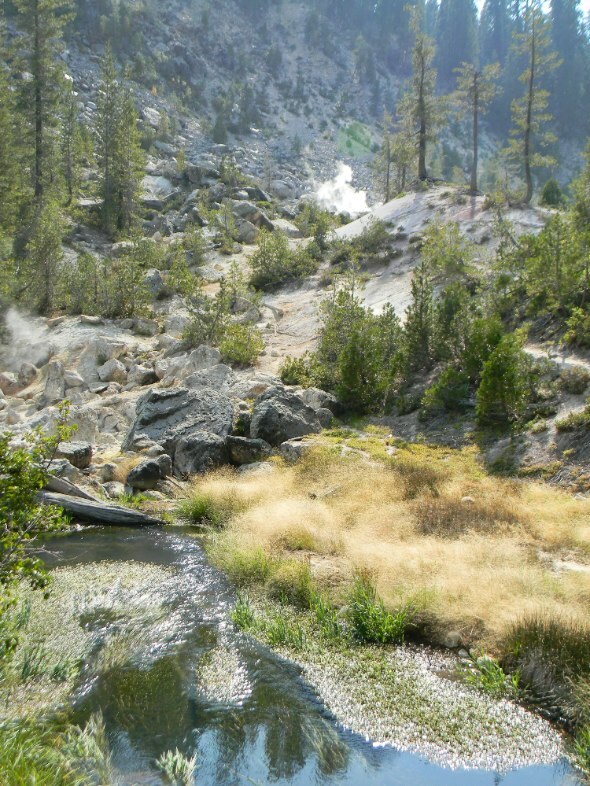 For Lassen Volcanic National Park fees and camping reservation rates, visit nps.gov/lavo. For more info on Drakesbad Guest Ranch, visit drakesbad.com.